It has been four years since I was first published in my college literary magazine. I can still remember the weight of that journal, its boxy shape, and the black and white photograph of a typewriter on the front (very college lit journal). I can still remember reading my piece to a room full of college students at the release party. My voice shook and my hands gripped the journal. I can still remember the anxiety followed by the rush, followed by the calm. Last week I arrived home to discover that a journal that had printed one of my few non-fiction pieces had sent my contributor copies. I had known of my acceptance into the journal since September of 2011. Almost a year later (and nearly three since I wrote the piece), it felt strange to see the words I had written (and feel the feelings I had felt) so long ago. 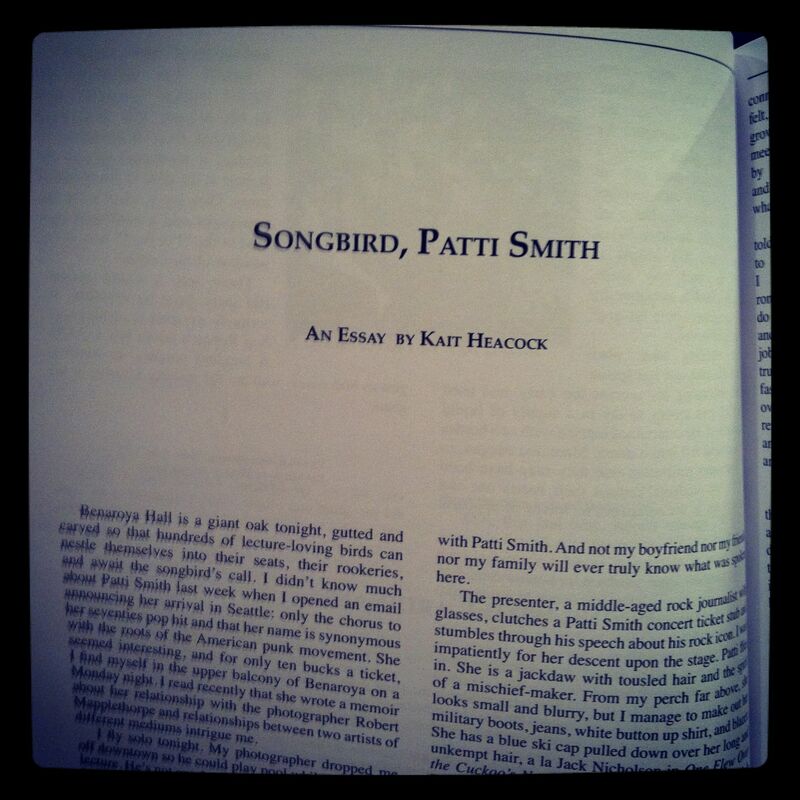 Here is a glimpse of my essay, which was printed in the Summer 2012 issue of Soundings Review (http://www.nila.edu/soundings/). I didn’t reread it, not when I first held it in my hands nor when I gave the second copy to my parents. I didn’t need to. This piece simply isn’t mine anymore. It’s funny, but it’s true, and it is how I feel about all of my writing. I can look at the words and I can remember why I wrote them, what sparked my need for storytelling (in this case it was my attendance at a reading of Patti Smith’s memoir Just Kids), and what I was thinking and feeling at the time (I was hopelessly, childishly in love and wanted to write about art and love and lovers making art). 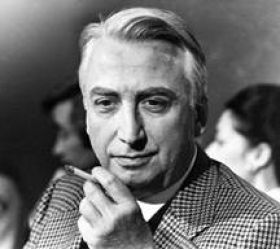 When I feel this way, after finishing writing a piece or rereading a piece I wrote long ago, I am reminded of literary critic Roland Barthes. I read his essay “The Death of the Author” in my undergraduate Introduction to Literary Theory course. It is one of those things from college that has stuck with me, much like the study abroad trip I took to Italy where my professor assigned us to read John Cheever’s “Boy in Rome” (a milestone in my life as a writer, that story has been my favorite ever since I first read it in Rome) or the time during a break in my fiction workshop (in my semi-conservative university) when I walked and talked with my professor about writing about being a woman while she sneaked a smoke and I realized we were all connected. Reading “The Death of the Author” has stuck with me because of the controversial ideas it promoted: a writer’s work (story, poem, essay, etc.) doesn’t belong to her, it belongs to the audience who reads it. I’ve never been able to shake this idea. It seems so contradictory to what I feel as a writer, to my conceit, my vanity, my need to play God and create. How can Barthes say that the essay with my name on it, my way of stringing words together, my personal experiences captured, how can Barthes say that essay is not mine? I won’t dive deeper into the waters of literary criticism; it was only an introduction class, after all. I will simply say that I understand (not as an academic, but as a writer). In the act of creating, the story belongs to me, but once I have finished the story, typed that last period, and made my final editorial pass, the story has left me and entered a new space, the public realm. Once released into the world, my writing is liberated to bend and fold to the interpretations of others. They can decide what that ambiguous ending meant or why nature was used as a motif. Barthes said in his essay, “To give a text an Author is to impose a limit on that text, to furnish it with a final signified, to close the writing.” It’s true. If readers think I wrote my essay because I was lovey dovey in love, then that limits its takeaway value (even if those were my motives). The essay belongs to the reader now so they can take it and shape it into their own understandings. I still have the college journal that first published me, and I’ve already added Soundings Review to my small collection of publications. They are keepsakes of stories I once told. They are memorabilia of my fleeting whims. They are reminders that the words I feverishly type onto my laptop are different from the words the reader sees on the page. They have been passed on. I hope you enjoy them.